Impact Sports Promotions is a manufacturer and wholesaler of the highest quality sports clothing and sports apparel which are manufactured in Melbourne using Australian made fabrics. We offer everything from custom basketball uniforms for local clubs through to custom sports uniforms for professional sports men and women – as well as wholesale sports apparel. 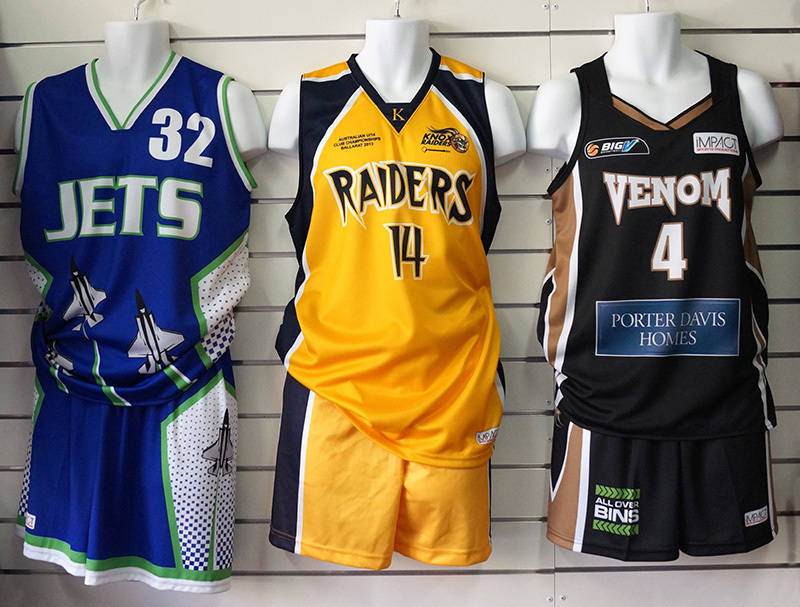 Our custom basketball uniforms and sports uniforms are made in Melbourne, Australia using sublimation printing for the most vibrant colours and highest levels of durability. Basketball uniforms, wholesale – Melbourne, Australia. You’ll find our custom made basketball uniforms used by many local clubs. Give us a call today to discuss your clubs new sports uniform!